There are two different founding points of my photographic research, synthesis of two passions, photography and city drawing. At the same time it had a strong appeal even abstractionist negation of reality that enhances their feelings through shapes, lines and colors without giving handholds that allow to bring the image to any reality. 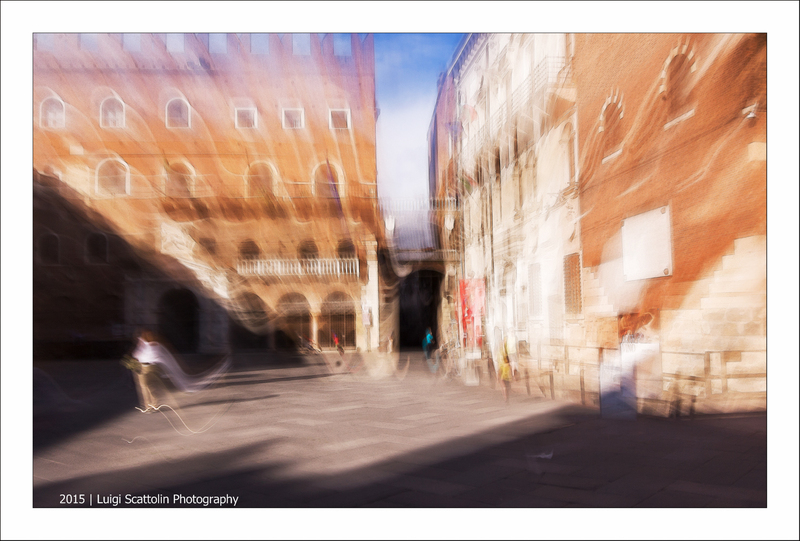 The ICM technique (Intentional Camera Movement) allows you to bring out the essential characteristics of the image that is obtained and shows us a different reality from the one recorded by the eyes. The image is blurred, but it strongly enhances the perceptual characteristics and dynamics, undressed from the details the reality is reduced to its essential elements.